Opana is an opioid narcotic, like oxycontin or hydrocodone. This drug has been a boon to treat moderate to severe pain. However, it has abusive and addictive properties, like the other drugs fueling the opioid epidemic. Opana, or oxymorphone, can cause problems if the person has been abusing it for a while, and tries to get off it. While it is painful, Opana detox is survivable if you know what to expect. Understanding Opana withdrawal symptoms day by day and treatment options and protocols will help you or your loved ones if they are suffering from an addiction to this narcotic. Opana is a narcotic like the many others causing an epidemic and tragic deaths and is similar to oxycodone. A narcotic is a type of drug used to treat pain that is moderate to severe and due to that and some of its side effects, can be easily abused and addictive. It comes available in a normal format, or an extended release (Opana ER) type, that keeps the opioid in the system for longer durations. Some of the side effects of Opana include it causing: confusion, drowsiness, euphoria, decreased breathing and depressed nervous system functioning. Being addictive, Opana can be taken for longer and larger doses than prescribed. This can lead to long-term problems and damage to the body. The sooner that a person abusing oxymorphone stops taking and tries to get clean, the more comfortable the detox process will be. Withdrawal is the reaction of the mind and body to not having a substance to which it has grown accustomed. Opana withdrawal can be hard with how addictive it is, both physically and psychologically. Having a different pill type available may give pain sufferers more options for treatment, but it also makes Opana ER withdrawal more difficult as well, due to the long-acting nature of the drug. Opana withdrawal, like other opioids, often requires detox and medical professionals to monitor the person. Detoxing from opioids comes with many risks, including problems with the brain and cognitive functions, breathing and respiratory system shut down, cardiac problems, and ultimately coma and death. Withdrawal and detox from Opana can have some dangerous symptoms, and it is necessary to understand what they are, so that you may be proactive if you see them in yourself or someone you care about. Early Opana withdrawal symptoms can include agitation and anxiety, confusion, sweating, insomnia, fatigue, depression and aches and pains with no medical causes. Regular oxymorphone abuse and dependence make the detox and withdrawal that much harder. The withdrawal symptoms will change over time, get worse, but eventually will get better. The beginning withdrawal symptoms are more agitation, disorientation and low-level aches and pains. Opana withdrawal symptoms day by day, over time, will gradually worsen and become more dangerous. Later oxymorphone withdrawal symptoms can include: cramping, diarrhea, nausea, and vomiting, dilated pupils, difficulty breathing, and potential coma and death. This is also on top of the early on withdrawal symptoms that will continue throughout the whole detox process. Opana stays in the system for weeks and has the potential to affect the mind and body during that time. Opana withdrawal duration can happen the whole length of this period. The typical detox path is that the symptoms will begin with mild agitation and confusion and get worse, building up to more severe and dangerous physical symptoms. The agitation and confusion symptoms will begin first and last the first one to three days. 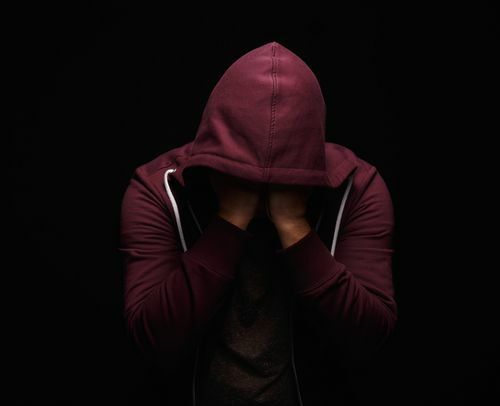 There is no clear point where a person starts one stage of withdrawal symptoms as everyone’s neurochemistry is different and they start slowly, and as one may begin to fade or become less important, the others become worse and take precedence. The more severe symptoms will usually happen between days three and six. They will generally begin to fade after day seven as Opana leaves the system entirely. That is how long Opana withdrawal lasts typically. Unfortunately, there is nothing you can do to shorten the length of Opana withdrawal symptoms. What can be done is to try to provide some relief from the symptoms and alleviate some of the sufferings they experience. This, of course, starts with stopping the use and abuse of oxymorphone as soon as possible. Then there is using some minor medications to help alleviate some of the agitation and aches and pains. Over the counter medications and vitamins, such as vitamin B, are standard as treatments. Increasing the number of fluids, especially those with electrolytes will help flush the system and keep the person hydrated. Finally, there are prescription medications to use which will help alleviate some of the pain of the oxymorphone withdrawal symptoms. These can include medications to help with anxiety, things to help with sleep, or other drugs that help alleviate some of the cravings and withdrawal, such as methadone. These would likely be used sparingly, as they may also have abuse potential. Opana withdrawal treatment is possible, and medical supervision may be necessary to help cope with and manage, some of the symptoms that are more serious or dangerous. The one clear treatment that will successfully predict the severity and length of withdrawal symptoms and difficulty in detox is the length of time and amount that you have been using. The less you use, the easier detoxification will be, and the sooner that you stop using Opana, the quicker it leaves your system. Ultimately, it also means that the sooner you stop using, the less dangerous and painful the oxymorphone withdrawal process will be. Treatment is available, and help is there for you. Going to a treatment facility may mean staying in a detox unit for treatment of Opana withdrawal first before anything else is done. 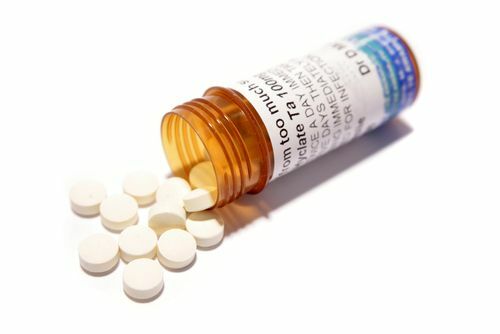 The reason for this is that people detoxing from oxymorphone and other opioids may have serious medical complications and may physically may not be able to gain anything from substance abuse treatment until the drugs are out of their system enough, and they are through the worst of the withdrawal symptoms. Detox is focused on helping you through the process as painlessly as possible, and their job is to make sure you are first and foremost safe and in no medical danger from detox. They then help you prepare for ongoing substance abuse treatment, and is the first step in living a life free from Opana addiction. Oxymorphone or Opana is a prescription pain reliever similar to other narcotics that are causing a plague of addiction, withdrawal, and overdose today. Its effectiveness is also the cause of its high risk for dependence and the severity of its withdrawal symptoms. For those suffering from withdrawal symptoms, detox and treatment may be necessary, and professional help required. The range of withdrawal and detox symptoms range from annoyance to dangerous and potentially deadly. While it will mostly be over a period of days, the drugs will last in a person’s system for weeks, giving the possibility of longer-term effects. The sooner that a person stops using Opana or other narcotics, the easier that the withdrawal and detox process will be, and the better the chances for a full recovery. Opana addiction and withdrawal can be a dangerous and deadly thing. The symptoms are a warning sign that there is trouble and professional intervention and support may be needed. If you or someone you care about are showing Opana withdrawal symptoms, please call (888)-459-5511 to talk with a knowledgeable representative about options for help.